Using an electric fly swatter is uncomplicated. 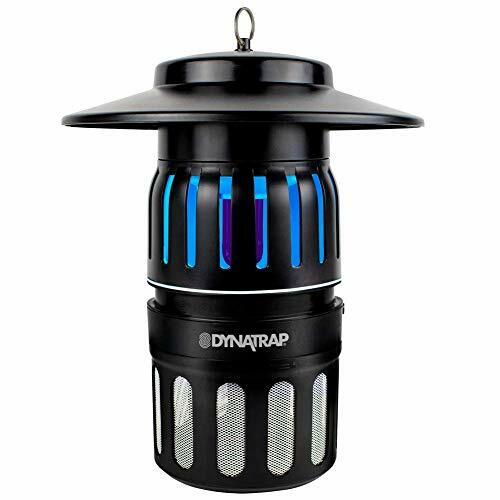 If you want a unique solution to eliminate flies and other flying insects around your home you need to get yourself the best electric fly swatter. The good news is that the process is very simple and much safer than many people believe. The tool is easy to use with a single hand and it is not too heavy and is only powered by typical batteries. Cleaning the swatter is also very easy and it requires minimum effort. Most electric fly swatters use 2 AA batteries which will power the low-intensity current needed to eliminate the flies around your home. Before you place in the batteries, you should ensure all the cables are clear and not obstructed. For the best results, you should only use batteries which are fully charged. Many users have reported poor results with low-charged batteries or batteries of low quality. This is why you will need to either use quality rechargeable batteries or high-quality Li-Ion batteries to power the fly swatter. Holding the electric fly swatter should only be done using the handle of the tool. You should not hold it by any other part as it will be difficult to swing and you might even be looking for accidents by doing so. The handle is usually comfortable to hold, just as a tennis racquet. The best part is that you will not need any other additional devices to use the swatter. Even when you pick up the swatter you would always do so by touching and holding the handle. You want to stay clear of the cables and connectors, especially while the batteries are placed in the tool. Swinging after flies is the fun part. Many people don’t know exactly how to do this. Before trying your own technique, you should always read the indications of the manufacturer first. Ideally, you want to swing against the flight of the flies in your home. When you have them approaching your swatter, the process can be easier than chasing them with the tool. The swing should always consider the objects or people around you. You should not try to hit the flies against hard surfaces such as tables or kitchen counters. Instead, you should aim at catching them in-flight, with no obstacles around. If you are using the swatter outside you should ensure the minimal conditions are met for you to safely do so. This means that you will need good weather as even light rain can come with safety issues for you and your electric swatter. Finding the right timing is also essential and since you will be using it outdoors, you may even try longer swings which could increase the chances of eliminating flies. After you use the electric fly swatter, you want to ensure you take your time and actually clean the tool properly. This should not be complicated but it should be done regularly to keep the tool in top shape for the next use. To clean an electric fly swatter you will need to let it cool first. This can take up to a few minutes and it is best to check the recommendations of the manufacturer for the best timeframe. After the swatter is cool, you will remove the batteries and place them to the side. You can now begin cleaning the swatter with either a brush or a cloth. You should do this for most strings on the swatter and at the end you should ensure there are not left pieces of cloth or any other material on the swatter which might trigger the electric current when the batteries would be put back in place. The electric swatter is now ready for the next fly-elimination challenge. The whole process is not too complicated and the good news is that you can experiment this yourself as you will be able to go through all the steps yourself. You will not need any help with either setting up the tool, cleaning it or using it. How to store an electric fly swatter? When you are done using the electric fly swatter you will need to store it away to keep it away from the reach of other people. The best storage tips should be followed with the manufacturer’s indications. However, some simple steps apply and you will be able to store it away every time following a few simple rules. You should always store the electric fly swatter after cleaning. You should avoid situations where you store the tool without cleaning it as this can help you improve the experience and it may also help you stay safe. The best news is that this practice is also advised by the manufacturers who know that this is the best solution when you try to avoid any accidents when powering it up. Storing it away from the reach of children is also important. If you live in a home with children, you will need to store the tool in a place where they don’t have access to the tool. You may also want to keep the batteries away in case they can reach the tool. Soring the tool with no batteries is also important. When you plan to store the tool for a long period of time, it is important to keep the batteries away as they can leak in time or they can even cause other types of electrical accidents. This is why it is important to remove the batteries before placing the swatter in storage. Using an electric fly swatter is not complicated and doesn’t use chemicals like those found in a bug spray. In most situations, using common safety precautions means that you will not need any special steps and you will be able to stay safe on the long run. With quality batteries and with swings that stay away from objects and people, you will be able to safely use the electric fly swatter every time.